I have heard that article referenced here on the forums, and I thought I would post a few screen shots of how my implementation turned out. *note this below is in a 'debug mode', when doing it for a real map the cells would be much smaller and would produce a much more detailed graph. 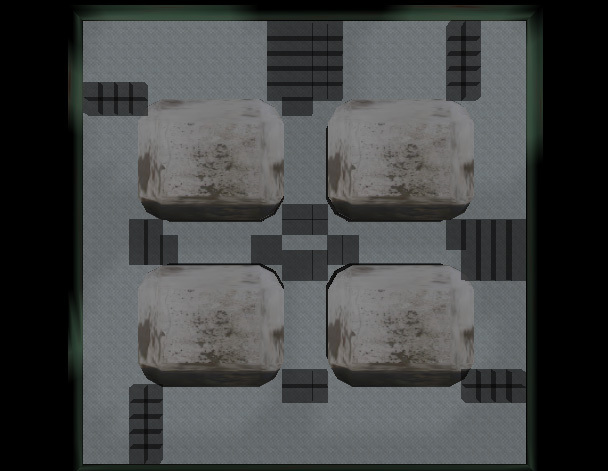 Where sectors meet, and it is possible for the bot to enter the next sector create a 'portal' between the two. Only the final portal list (last picture) and the sector list (2nd last picture) are actually kept- the rest of the cells are tossed away. Then the list of portals/sectors can be stored to a file for a bot to use later. The portal/sector calculations are done as a pre-processing step when you save the .scene file in OgreMax. I would love to hear some constructive comments. groovy. I assume you'd need to be able to change the initial cell size to fit in the smallest area you want to be able to walk through? @Chris- might have just been a server hiccup, they seem to be working fine now. @Volca- Yes this structure is ideal for sound propagation. Thanks for sharing the link, I hadn't seen that power point before. I'll definitely play with the concept in the near future. @Vectrex- The ideal cell size is one quarter the size of your player (width/depth wise. Full height). 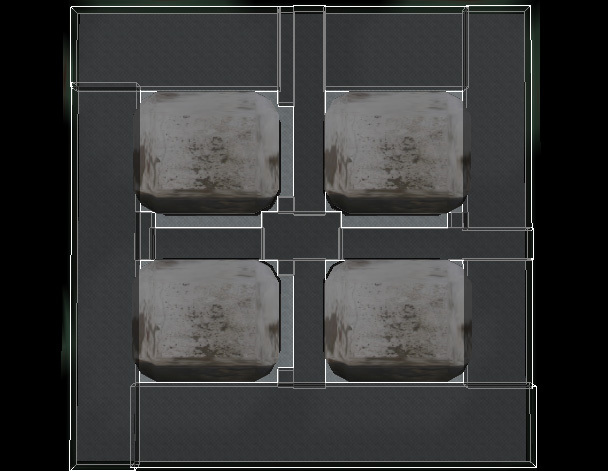 This helps deal with small non axis-aligned corridors. You pass my command line program a .scene file path, width of cell, height of cell, position (x/y/z) of starting cell and then any special flags required (like dump results to a xml file, etc). i still can't see them. If i open them in their own tab, i get a page load error, network timeout. Also, how does this work with varying elevations? The article mentioned a spiral staircase, is this something that can be handled by the algorithm? This was not shown in my images but yes the method can handle elevations fine. If it is a small, meaningless elevation (stairs) is encountered then that elevation is just added to the sector (offset for the cell, but during sector discovery the height of a sector can grow). If it is a cliff, and the player can jump off then a one way path is made- so that the portal doesn't go both ways. This allows the AI to take advantage of elevations with out having to worry about them getting stuck at the wrong end of a cliff. This method takes virtual 'player steps' to decide if the next cell is available. This allows me to know if the stairs are traversable by a given set of rules or not. Last edited by Rambus on Wed Jul 09, 2008 6:40 pm, edited 1 time in total. Reminds me a bit of the velocity engine AI we used in Motorsiege. 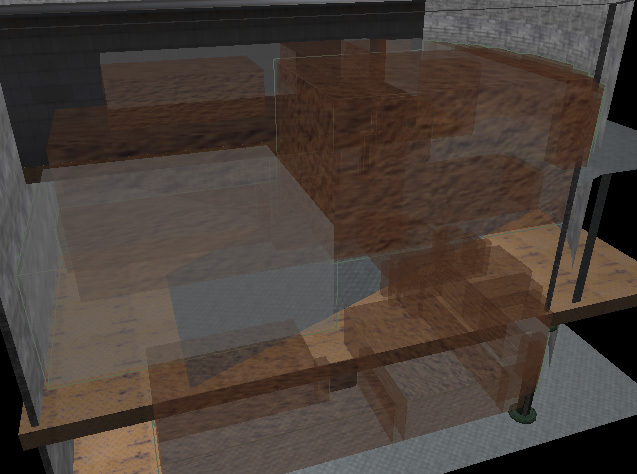 Only in that we used 3dsmax as a level editor and created floormap meshes in max too. You just cut out the floor around static collision and the AI would never go there. Had flags for jump up and jump down so the AI knew it could navigate different levels, and you could use vertex colours to change basic behaviour of the AI so that it would try and avoid dangerous areas. 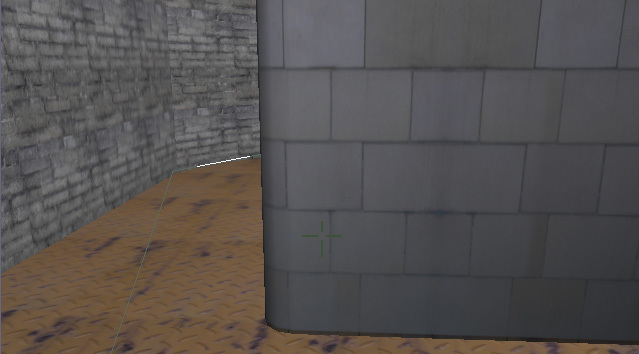 The AI picked waypoints dynamicly by intersecting edges and doing something a bit like a reverse LOD if needed. 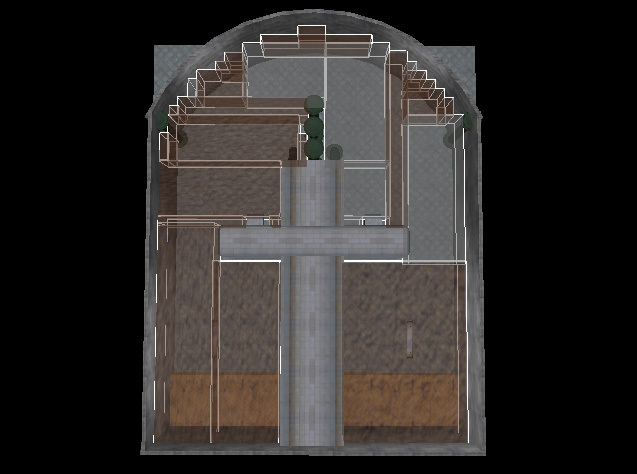 Using the mesh created floorplan meant artists could optimize the mesh rather than having a huge grid of cells. 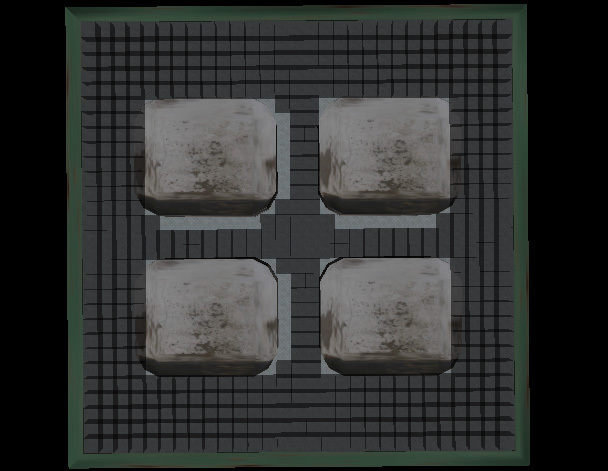 This was back in Xbox and PS2 days when the CPU was a limiting factor. But it worked really well. 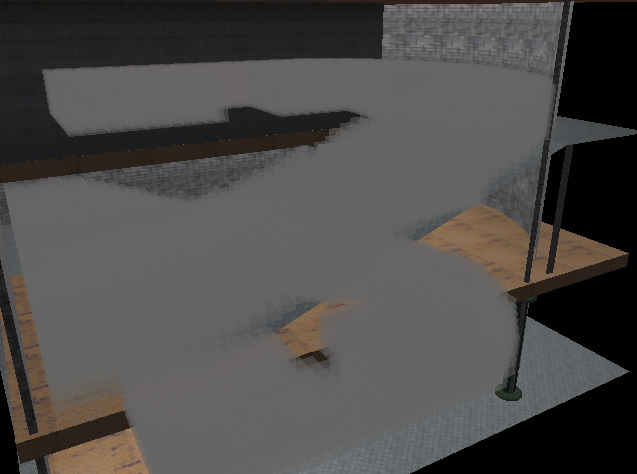 Sometimes troubleshooting could be a pain, since inexperience artists might leave verts between floormaps not overlapping 100% and the AI couldn't pass broken edges. I really liked that AI because you could simplify collisions in a racing game with the holes around static meshes inset a little the AI never tried to pass through a wall and would rarely collide with a static scene object unless it was thrown against something through concussion or being pushed by another player. (was a vehicle combat game). thanks, those links works fine. I had originally planned to put in 'hints' for AI in the level its self. In the form of waypoints or sectors (as pictured above, only manually placed) but as you mentioned the problem is that these need to be manually tweaked and can suffer from poor placement (in your example inexperienced artists did it wrong). The other major issue is maintainability- if you want to make a structural change to the scene you have to adjust your hints. In the end after my program has run you are left with a path finding graph that is automatically generated, uniformly with no unexpected placements. 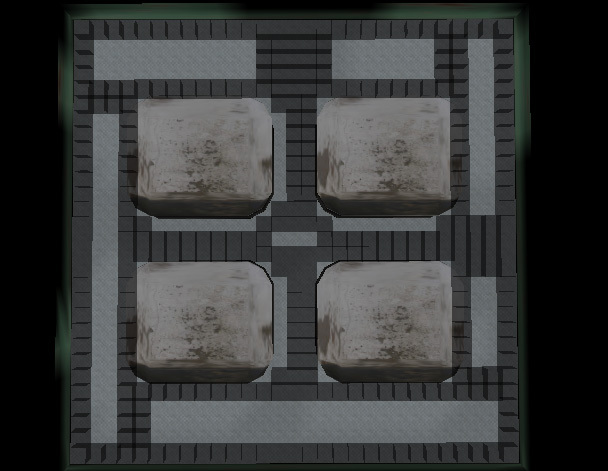 Also it is very light in memory and easy on the cpu. I did a few more tests for everyone to see how the program handles more complex levels. Sector view, curves create needless sectors. I'm going to look at merging insignificant cells/sectors into their closest neighbor. Alternatively I could search for a more complex convex shape. How do you determine if a cell is within a sector? I imagine the first pass is generating a list of cells, and then there is a second pass that iterates through the cells and creates sectors? You're correct, I do three passes in total. The second pass finds sectors from a ugly list of cells. It does this by picking the last cell in the list, using that cell data to spiral out radially until it has made the biggest rectangle it can (Greedy, biased). Repeat until there are no 'unused' cells in the cell list. Each cell has a position, and 4 pointers to its neighboring cells (0 for no cell). 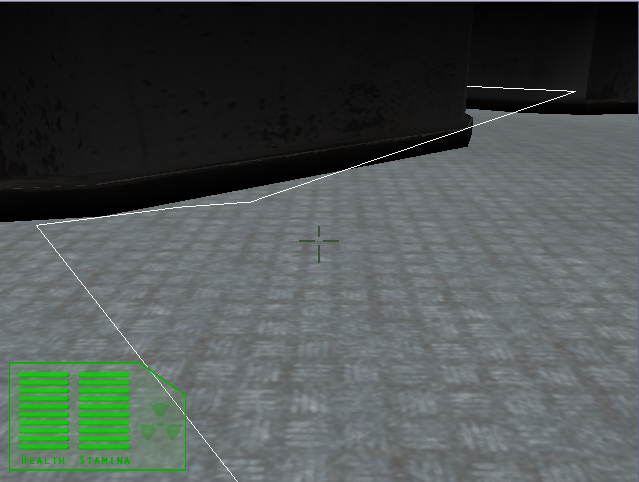 My algorithm starts by placing a virtual version of my character at a given position (usually a spawn point). I do an initial ray cast to place him flush against the ground and then add that single occupiable cell to my "unprocessed list". I then check the four neighbors of that cell to see if a virtual player could step there with out being impeded/falling-climbing too much. I add the successful cells to the unprocessed list, and take my initial cell and put it in the processed list. repeat until the unprocessed list is empty. The cells in my algorithm also store a position of the ground, and this can go up or down depending on if stairs or a ramp were encountered. When a sector is created from a list of related cells, it uses a axis aligned bounding box that encompass all these points (+ the width and height of each cell). The main problem with releasing my code is that it has some ties to my engine and game logic. After a little searching I did how ever find a old project called GOOF that implemented a path finding system very *very* similar to this. I took a look at their code and it seems they are using some one elses modular/flexible path finding code. A few more pictures, now that I have A* running on my data. Finding the way around a simple corner. A bug not really talked about with the paper- In this case one way point goes far out of the way because of how the portals were created. This is lessoned by the use of interpolation but it would not be eliminated. I plan to use the portal information in conjunction with A* and a basic raycast model to develop bots that don't need to follow a splined path. This will help me deal with the the appearance of simple dynamic obstacles like players- with out any major overhead. 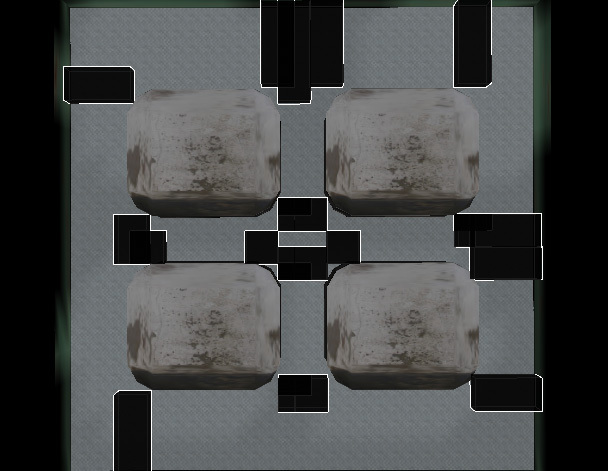 i took a look on the GOOF, but looks like the path finding isnt avilable in the editor? In the second screenshot, the path looks like it changes in elevation. Is this true, or just appearing that way? The ground looks flat, so it seems a little odd. Sorry- I meant the above project that builds on goof. Rambus, I'm not sure if you still visit the threads, but in case you do, I could use more hints. The game we are working on is similar to warcraft 3. In wc3 you can find pockets of land within the woods, that may not be normally reachable. 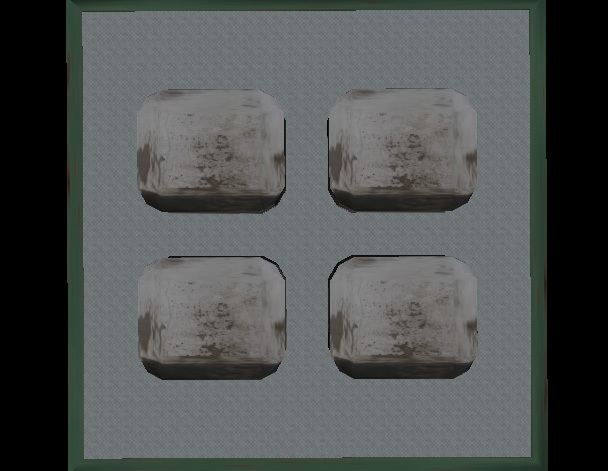 Trees can be chopped down, eaten, or regrown, and this will affect pathing. In your approach you start with a known location, ie spawn point, and flood the map searching for traversable cells. I'm thinking that we will need to traverse all cells within the scene and process them that way. However I don't see how we can have stairs in this case. We don't use stairs, but I'm wondering if this iterative approach is a good route to take. Basically we can get the root scene node and get its AABB to outline the total area to process cells. For each cell, I would try to do a physx raycast downward, while filtering the collision so that it only hits shapes of the collision group I designate as the ground, which could be a terrain, plane, etc. If I hit the ground, then I can do an intersection query to see if my players capsule can fit within the cell and not collide with any other objects. Using this approach, I would have a predefined map with bools, and update all traversable cells to true. Does this sound like it would work? I think wc3 must use something like this approach, or some derivate of polygon soup pathfinding. Any comments welcome.